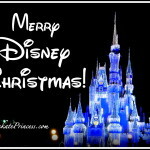 Disney World Christmas by the Numb3rs! There is something truly magical about all the holiday decorations at Walt Disney World, but wow, are the crowds crazy that week after Christmas. In recent years, the Magic Kingdom has closed around ten or eleven a.m. and only reopened to new guests after 6 p.m. That’s a lot of people. 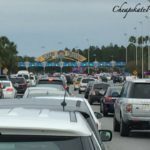 The Magic Kingdom parking lot, which holds 12,000 cars, often reaches capacity during this week. Lines for roller coasters are often well over a 120 minute wait. So for those of you that passed on the WDW crowds or didn’t have the means to take a vacation this holiday season, our Cheapskate Princess Christmas gift to you is some holiday trivia from Disney by the Numb3rs.com. Are You Crazy Enough to Go to Walt Disney World at Christmas? 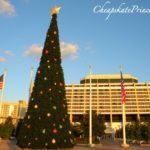 When you glance at the tree in your living room, remember that 45 to 70 foot trees are used all over the Disney World property, the tallest of which is the 70-foot tree at Disney’s Contemporary Resort. Take a long time to decorate your tree? It takes 6.5 hours to set up one 65 foot Disney Christmas tree. A total of 1,500 Christmas trees decorate the WDW property, including theme parks, resorts, and Downtown Disney. 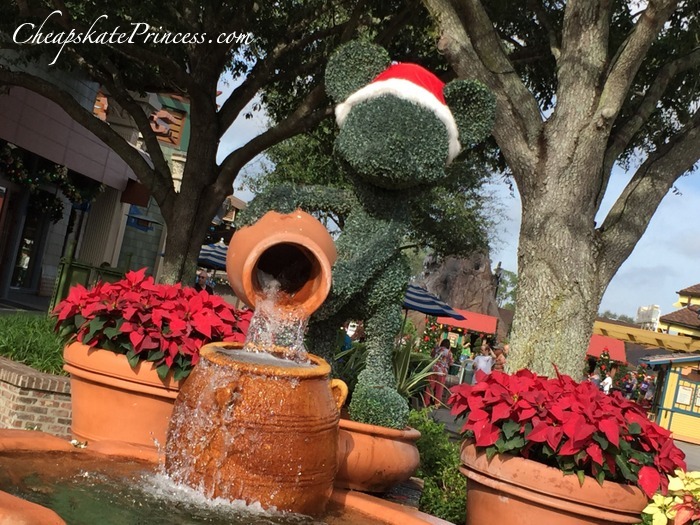 What is the life span of a Christmas tree at WDW? Only about five to six years. 8.5 million lights are strung throughout the property, with 98 percent of the lighting used being LED lights. 300,000 yards of ribbon and bows are draped over the Christmas trees across property. 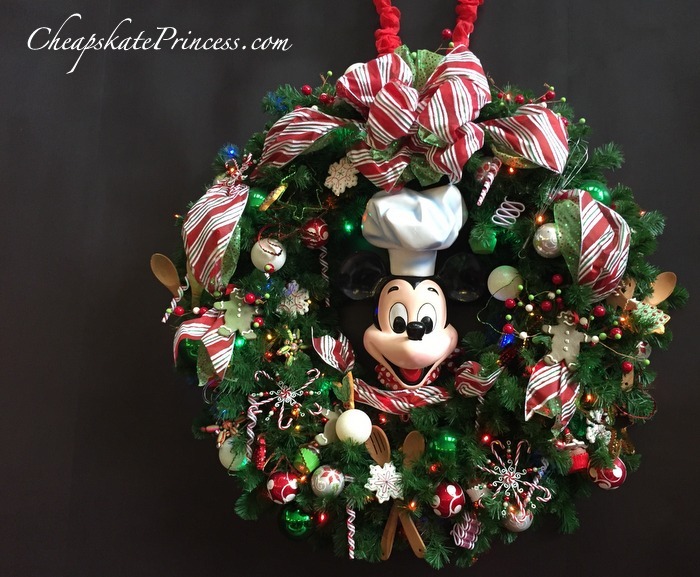 15 miles of garland and 3,000 wreaths are hung throughout the WDW property. 600 decorations made of popcorn are created by hand, decorated, and painted by Disney artists to be used on the different Christmas trees. The base is on the Main Street Christmas tree in the Magic Kingdom is 26 feet wide. The wreath lighting up the Cirque du Soleil building at Downtown Disney’s West Side is 25 feet in diameter. Guests can shop for holiday merchandise at Disney’s Days of Christmas shop 365 days of year. 54,000 square feet of warehouse space is used for the holiday services facility, with one room in this warehouse set aside for storing all the ribbon. 40 trailers are loaded for the installation, and these trailers will be returned more than 150 times before the decoration process is completed for 24 resorts, four theme parks, Downtown Disney and other locations. Ten days are needed to remove all the holiday decorations at the end of the season. 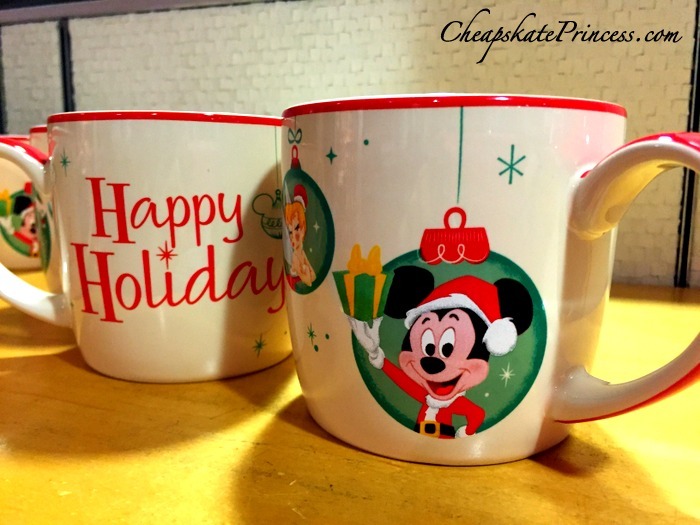 Why Take A Disney Vacation During Christmas? The Holiday Decorations Are Better Than Yours! There are ten miles of twinkling rope lights in the Osborne Family Spectacle of Dancing Lights at Disney’s Hollywood Studios. 200 holiday topiaries are used to decorate the Walt Disney World resort. 100,000 poinsettias are used to decorate all of WDW landscape. 8-foot towers of poinsettias, which resemble big red Christmas trees, have been a traditional favorite of guests for years. It takes 170 poinsettias to create each big red Christmas tree, and it takes two Cast Members an entire day to assemble each of these poinsettia Christmas trees. Speaking of poinsettias, 30 to 40 are used to make just one of the poinsettias balls you will see hanging all around WDW. 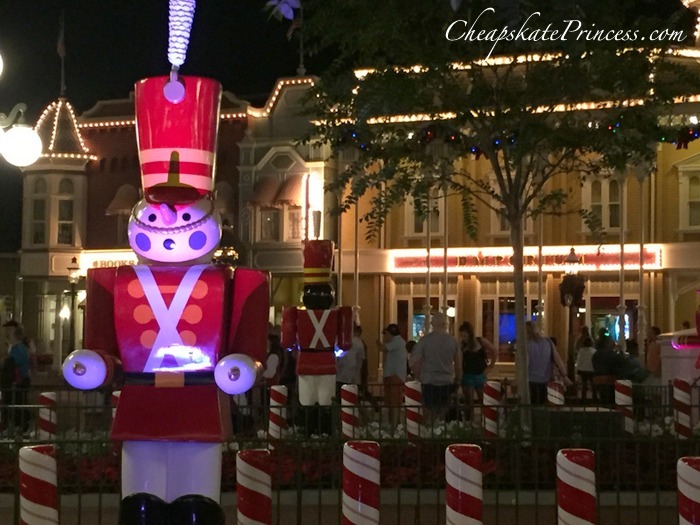 Can a Cheapskate Afford to Stay at Disney World During the Week of Christmas? Often referred to as the flagship hotel of the Walt Disney World Resorts, just standing in the Grand Floridian five-story lobby is a journey into opulence and splendor. There are six restaurants to choose from. Pull up a chair and listen to the frequent musical entertainment, which ranges from a pianist seated at a grand piano to a Disney big band playing Christmas favorites. A massive 40 foot tree decorates the lobby, twinkling with more than 45,000 lights. This tree is erected all in just one night. 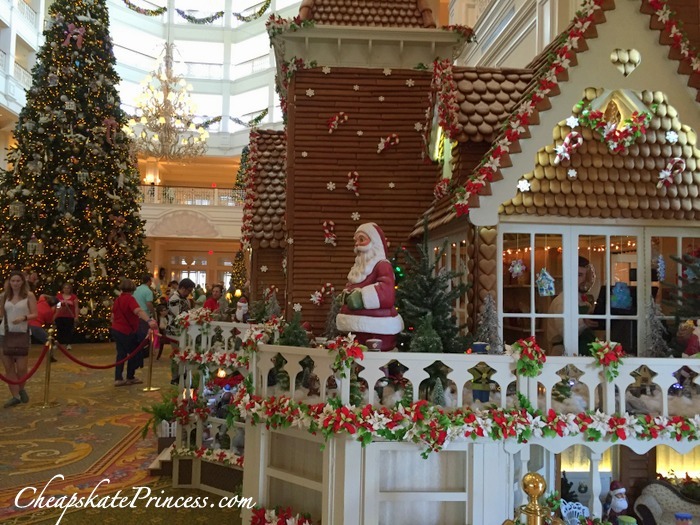 A 16-foot-high by 18-foot-wide gingerbread house is built each year in the lobby of the Grand Floridian for the holiday season. It occupies 200 square feet of lobby space, and it will take ten men a total of six days to create the gingerbread house. The list of ingredients is enough to make any pastry chef nervous with anticipation. Once all these yummy ingredients are combined into the 2,000 pounds of gingerbread, it will take 400 hours to bake the 10,000 individual pieces. As far as decorating, 140 pints of egg whites are used to create 500 pounds of royal icing. And a whopping 600 pounds of powdered sugar are used to dust the gingerbread house to make it look like snow. 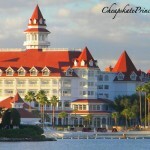 Can a Cheapskate Afford to Stay at Disney’s Grand Floridian Resort During Holiday Season?! Consistently rated as one of the top authentic-themed lodgings in Orlando, Disney’s Wilderness Lodge Resort is like stepping straight into the Old West. Tall pines, thick forest, and a 450-acre lake all add to the feeling that you have left sunny Florida and magically traveled to Yellowstone National Park’s Old Faithful Inn, one of several rustic landmarks used as inspiration for Wilderness Lodge. 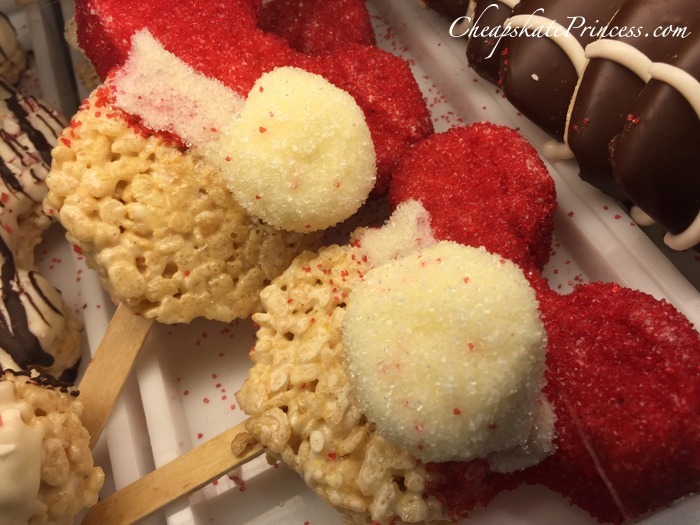 Wilderness Lodge has five restaurants that offer everything from fine dining to quick counter-service snacks from breakfast through dinner. Wilderness Lodge’s soaring six-story lobby is decked out for the season with festive wreaths and garlands. A 60-foot Christmas tree adorned with nature-themed decorations and 60,000 twinkling lights are the focal highlight of the Lodge’s holiday décor. Take a seat in one of the rocking chairs by the 80-foot-tall fireplace, which depicts a built-to-scale replica of the Grand Canyon’s rock layers. Warm your hands by the fire, and look around the gift shop in an equally warm and cozy shopping environment. Can a Disney Princess Afford to Stay at the Contemporary Resort at Christmas? And there you go, a little Christmas present just in time for those of you missing your time in Orlando. Thanks to Disney by the Numb3rs for their always entertaining Disney facts. Stop by their site for some fun Disney trivia, and tell ‘em a Cheapskate Princess sent ya! 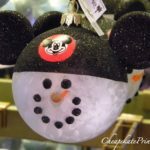 Christmas at Disney World: Would You Spend up to $30 for a Christmas Ornament? 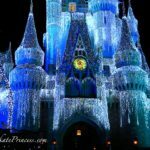 1st Trip to Disney World: Should You Travel during Christmas?